I came across this last night; truthfully I forgot that I had written it. Never having been a major ABBA fan, I guess I scraped that corner of my brain clean so I could reuse it for something else. Not even the recent film Mamma Mia rekindled the memory from eight years ago. I guess Bowie was right. But I do like documentaries, and when they’re well done it doesn’t have to be about aliens or 9/11 conspiracies or even how Enron screwed the country in broad daylight. 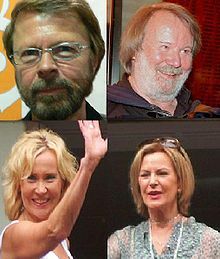 I found that although I still am not an ABBA fanatic, I do have a new respect for the band. 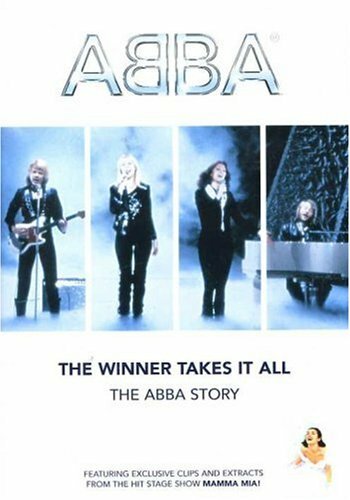 This ninety-one minute documentary provides an excellent overview of ABBA’s career and boasts a wealth of performance clips and interviews. Bookended with early history and recent postscript, the bulk of the program focuses on their recording years, from their beginnings (winning the Eurovision song contest with “Waterloo” in 1974) through their final ironic songs of failed relationships. Although many thought their gaudy stage show and chipper pop catalogue were tackier than bubblegum cartoon bands, in retrospect it’s hard to argue with their amazing string of chart-busting singles. The recent interview clips with Bjorn and Benny prove them to be a focused and determined songwriting team who slaved over the melodies until they exhausted the possibilities. I never knew they did this during mammoth sessions in an island cabin, but then I learned a lot about the band from this DVD. I didn’t know that they targeted using the English language for American success because radio refused to play their songs in their own country. Read the rest of my review at Cosmik Debris. R.I.P. (Will) Owlsley – whether you knew him as a sideman for your favorite musician, or savored his incredible solo work, his death at such a young age is a tragedy. R.I.P. Danny Aiello III – you’ve seen him in a million movies but probably didn’t realize it. One of the best stuntmen and stunt coordinators in the business, and yes, son of that Danny Aiello. Jimmy Cliff – first nomination, though eligible for twenty-one years! Amazing to see that three of the artists were eligible for between sixteen and twenty-one years prior to even getting nominated, and then they get elected on the first try. That’s just odd. How do these bands never even get to the nomination stage and then make it all the way to the podium in one move? And what does that say about the rest of the talent pool still hanging by the telephone? Alice Cooper is still waiting. So are Cheap Trick, Deep Purple, Todd Rundgren…and KISS, of course. I could name dozens more who made bigger marks than some of the current inductees – Rick Derringer, The Faces, Lou Reed, Mott The Hoople – but I’d just get pissed off again, even though I know in my heart that it just doesn’t matter. And I certainly can’t argue with any of the songwriter nominations except to say…what the hell took you so long? Mort Shuman (Doc Pomus’ partner), Barry Mann, Cynthia Weil, Ellie Greenwich, Jeff Barry, Otis Blackwell, Jesse Stone…the real crime here is that Ellie won’t get to take that bow since she passed away earlier this year. 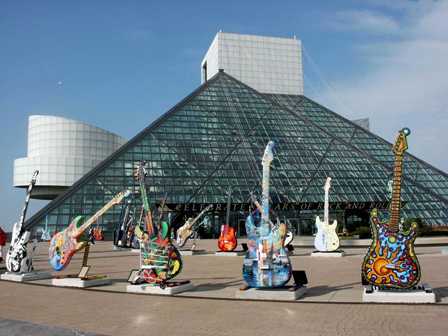 Of course, the Songwriters Hall of Fame was on the ball and elected them way back in the 80s and 90s (only Stone is not yet inducted). 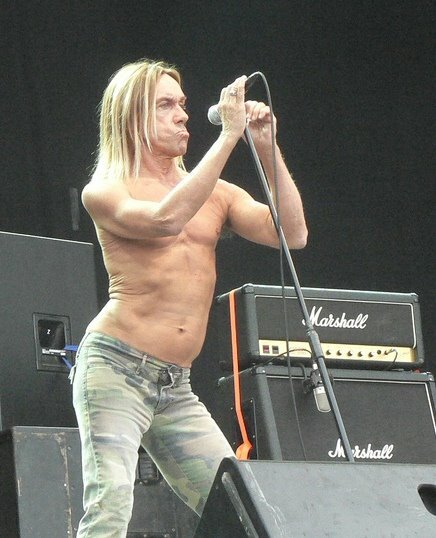 Let’s hope Iggy rips ’em a new one come March. Slingsby Aviation built some of the world’s greatest gliders, and although used by the British during WWII, they were mostly tactical observation planes; drone bombers at best. The Hornet, on the other hand, was a piston-engine fighter plane used by the RAF, built by the de Havilland company. What this has to do with glam rock and powerpop takes on classic 60’s music is beyond me, but I can tell you that John Paul Allen’s angry insect logo is the antithesis of the pure joy coming out of the speakers when The Slingsby Hornets are playing. Whatever Happened To is the follow-up to 2007’s Introducing The Fantastic Sounds of; like its predecessor it’s a one-man studio effort from Allen. 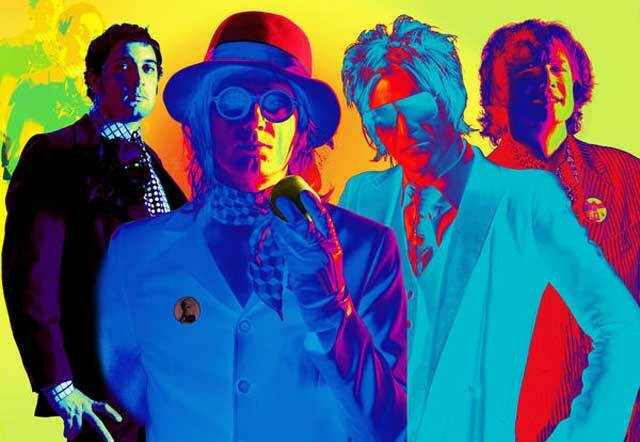 Boasting a dense layer of guitars, stacked vocals and a simple but uncluttered rhythm section, Allen blends five original pop songs inbetween covers of classic garage and glam singles like “Pictures Of Matchstick Men” and “Rock’n’Roll Love Letter”. His solo vocals are more breathy than powerful, but the layered harmonies are skillful, even within production that’s smaller in scale that some of the bands you’ll be reminded of (Jellyfish, XTC and especially Queen – Brian May is obviously an influence). But there’s no denying the pure love of the music, but anyone that can cover The Osmonds and ABBA with the same respect as The Move and T. Rex is okay in my book. I really like the originals, especially “The Long Way Home” and “Black & White Movie”, but the covers are obviously the draw. My favorites are Klaatu‘s “Calling Occupants” and Marc Bolan‘s “Children of the Revolution” in which Allen also incorporates the related “Buick Mackane”. My copy of the new album included the Knee Deep In Glitter EP which features five covers, including Cliff Richard‘s “Devil Woman” and “Skweeze Me Pleeze Me” by Slade. The guitars are much louder and overall the music rocks harder, even the chugging version of “Does Your Mother Know”. As with all Slingsby Hornets covers, they’re anything but straightforward copies of the original. Introducing also has five originals, the best of which is the synth/guitar duel of “The Man From Yesterday” and the more delicate “Stop The Rain”. I’m no fan of Captain and Tenille so I’m not crazy about a cover of “Love Will Keep Us Together”, but at least it adds some muscle to the melody. I much prefer his take on “Fire Brigade” and a cover of “My Sharona” that sounds like Brian May (yes, again) jamming with Todd Rundgren. Again, Allen wisely alternates his originals with the diverse covers, as if to show that any radio station (or pair of ears) that would appreciate one would also find the other appealing. Use the CD Baby links above or check their MySpace page for more details and sound clips.